Q2. 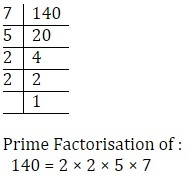 Find the LCM and HCF of the following pairs of integers and verify that LCM × HCF = product of the two numbers. Q3. 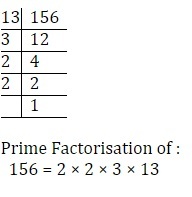 Find the LCM and HCF of the following integers by applying the prime factorisation method. There is no common factor except 1. Q4. 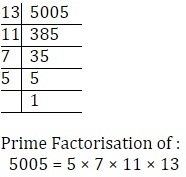 Given that HCF (306, 657) = 9, find LCM (306, 657). Q5. Check whether 6n can end with the digit 0 for any natural number n.
Therefore, 6n will not end with digit 0. Q6. Explain why 7 × 11 × 13 + 13 and 7 × 6 × 5 × 4 × 3 × 2 × 1 + 5 are composite numbers. 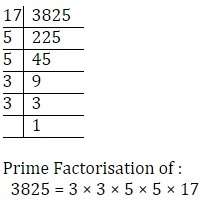 Hence this is composite number because It has at least one positive divisor other than one. 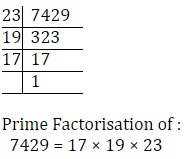 Hence this is also a composite number because It has at least one positive divisor other than one. Q7. There is a circular path around a sports field. Sonia takes 18 minutes to drive one round of the field, while Ravi takes 12 minutes for the same. Suppose they both start at the same point and at the same time, and go in the same direction. After how many minutes will they meet again at the starting point? Sonia takes 18 minutes in one round.